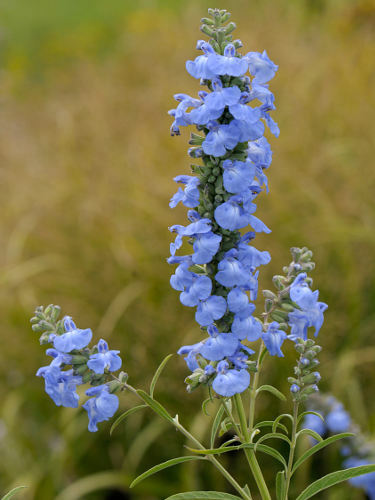 (Pitcher sage; Blue sage; Kansas sage) Tall azure-blue sage of the American prairies with aromatic, astringent, and tonic properties. It was once used for fever and malaria. Herbalists today use it as a detoxifier, especially in support of Lyme disease and other chronic illnesses. Ht. 90-120cm/3-4ft.